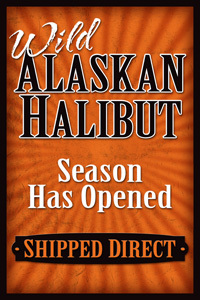 Exclusive Hawaiian seafood showcase happening March 6-12! Enjoy a series of freshly caught seafood delivered directly from the Hawaiian islands exclusively to Sunset Foods this Wednesday, March 6 through Tuesday, March 12. While Sunset sells fresh, sustainably-caught Hawaiian seafood year-round, this week we are celebrating island-like flavors by overnight air-expressing an expanded assortment of freshly caught fish direct from Hawaii. Fresh Hawaiian fish that you can get at your local Sunset Foods include: Ahi Tuna, Shutome, Mahi Mahi, Onaga, Ono, Monchong, and Opah. All of these fish are line-caught in the open ocean off of the Hawaiian Islands. Also known as Yellowfin Tuna, this exceptional fish can be served raw as sashimi or sushi, offers a distinctive yet mild flavor, and has a pleasantly firm texture. Ahi is also delicious lightly seared and will absorb the flavor of whatever it’s cooked in. Also known as Moonfish, this distinctive tropical fish combines a rich flavor with a firm and hearty texture. Opah’s pinkish orange flesh, is easy to prepare, and is as delicious raw, steamed, or smoked as it is baked, broiled, or sautéed. Also known as Dorado, this deliciously sweet and perfectly mild fish offers a crowd-pleasing flaky texture without being dry. Mahi Mahi is wonderfully versatile and is well-suited for any recipe that calls for white fish. Ono means “good to eat” in Hawaiian, and for good reason! This exceptionally sweet and buttery fish is appealing to many, and can be used in a variety of dishes. Like Ahi Tuna, Ono is especially delicious when served grilled or even raw. Also known as Hawaiian Red Snapper, this world-renowned fish combines a mildly sweet flavor with an exquisite texture. Onaga can be served raw, but also becomes sweeter and delicately flaky when cooked. Also known as Broadbill Swordfish, this versatile and premium fish is easy to prepare and offers rich flavor as well as a smooth and tender texture. Shutome is ideal for grilling and is packed with lean protein, omega-3s, and vitamin B6. Monchong is a versatile white-fleshed fish that can only be found in Hawaii. 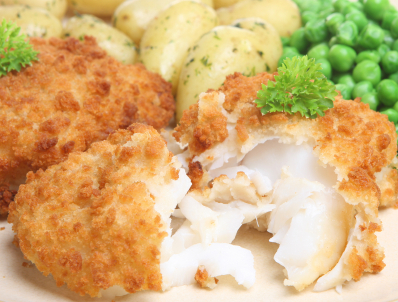 This unique fish is tender and moist and has a fantastic buttery flavor. Monchong is well-suited to sautéing, baking, and poaching and is also firm enough for the grill. With summer on the way, it’s out with heavy comfort foods and in with light, vibrant dishes full of bright colors and fresh flavors. This week’s recipe features sockeye salmon, known for its deep red flesh and considered to have the richest flavor of all the varieties. Full of vitamin D and omega-3s, this wild Alaska salmon is a delicious and heart-healthy choice, containing even more nutrients than other kinds of salmon. See if you can say this three times fast… Oncorhynchus Kisutch. That's the scientific name for Coho Salmon and this week we’ve whipped up something extra special for your dining pleasure – a sassy summertime salsa, featuring the lovely peach, "Queen" of the summer fruits, paired with Coho Salmon flown in fresh from the Cook Inlet of the Susitna River in Alaska. We simply can't get enough peaches around here! Lucky for us, Illinois and Michigan hit a bumper crop…and they are delicious. You can enjoy this salsa on its own with your favorite tortilla chips, but we especially like it atop grilled salmon. Labor Day is a great opportunity to have one last summer soiree as we prepare for fall and the fun of football tailgating. This week's recipe is a party-perfect crowd pleaser that can be prepared in a snap. So, whether it's Labor Day or Game Day, forget about work for a few hours and arrange a date with some shrimp and bacon. Your guests will be wowed from the first bite. Craving more quick and easy weeknight menu ideas? We’ve got you covered. This week, we’re taking the cooking al fresco, because with weather as nice as this, you’ve gotta be outdoors! This week, we’re whipping up Grilled Shrimp and Crab Tacos, served with homemade guacamole. Your friends will be clamoring for invites to this fiesta…but it tastes so good, you might not want to share! As always, you can pick up everything you need for this weeknight meal at your local Sunset Foods. So get your grocery list together and follow us to delicious. Today, we celebrate the wonderful flavor of bacon, arguably America’s favorite food, by sharing this delicious recipe for all bacon lovers to enjoy! 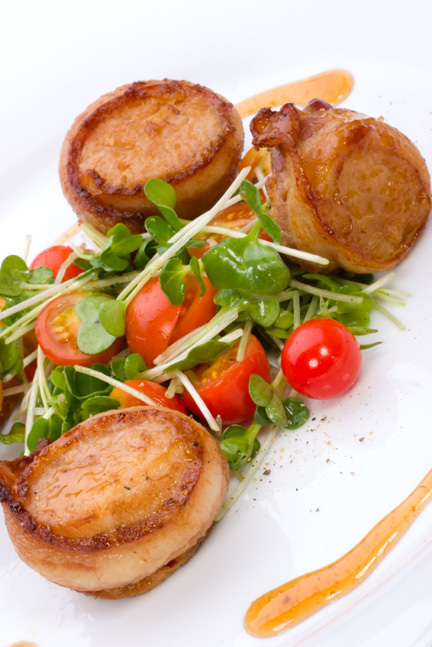 This dish features our Dreymiller and Kray Smoked Bacon as well as our fresh bay scallops. Whether you are simply looking to try something different for dinner or having a special dinner date, this recipe is easy and sure to please. It is great served with some greens and/or with a baked butternut squash topped with nutmeg, cinnamon, and butter. *This reduction is quite sweet on the palate, so vary the amount of sugar based on personal preference. Bring Port, superfine sugar, peppercorns, and mint to a simmer in a 2-quart saucepan over moderately low heat, stirring until sugar is dissolved. Remove from heat, then carefully ignite Port with a kitchen match, letting flames die down (this will take a few minutes). Simmer over moderately low heat until sauce is thickened and reduced to about 1/2 cup, about 20 minutes. Transfer to a bowl and cool to warm. Heat a 12-inch heavy skillet over moderate heat, then cook bacon until some fat has rendered and edges of bacon start to brown, about 1 1/2 minutes per side. Transfer bacon to paper towels to drain. Pat scallops dry and season with salt and pepper. When bacon is cool enough to handle, wrap a piece of bacon around each scallop and pierce scallop with a wooden pick to secure. You’d be crazy not to try this delicious, healthy recipe! All ingredients are available at your local Sunset Foods. If this doesn't make your mouth water, we don't know what will! 1. In a glass baking dish, combine the garlic, white wine, lemon juice, soy sauce, olive oil, salt and pepper. Mix just to blend. Place swordfish steaks into the marinade, and refrigerate for 1 hour, turning frequently. 2. Preheat an outdoor grill for high heat, and lightly oil the grate. 3. Grill swordfish steaks for 5 to 6 minutes on each side. Garnish with parsley and lemon wedges. Hope you enjoy this delicious and nutritious meal as much as we have!